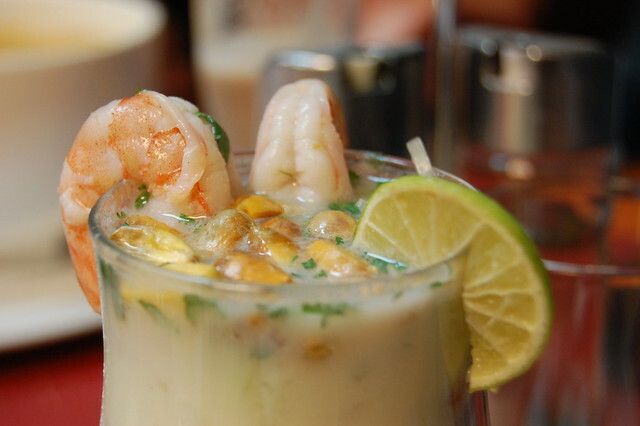 Tiger’s milk, leche de tigre or leche de pantera, whilst considered by some as an aphrodisiac or hangover remedy, is more notably the essential liquor component to ceviche; the Peruvian dish. Traditionally, this citrus based marinade consists of lime juice, aji limo (chile), onion, salt & pepper. Other ingredients used include cilantro/coriander, apple, garlic, celery, bell pepper and ginger. 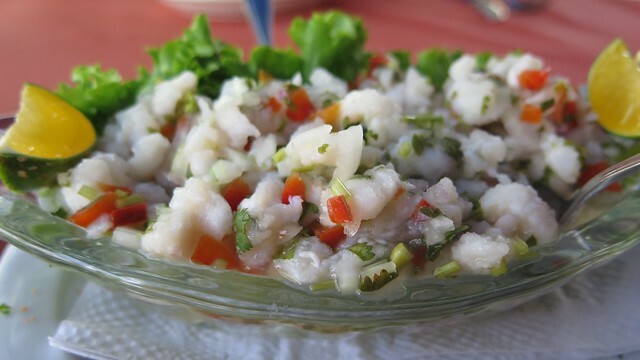 The objective is to produce a powerful, tasty and chille liquor to cure the seafood, the main ingredient in a ceviche. The liquor is served not only with the ceviche dish but also separately in a small glass or indeed transferred from the plate after eating to drink as a post prandial climax.